This year Galaxy Note 7 was the popular cause of billowing flames and smoke in many cars, hotel rooms, and even homes. 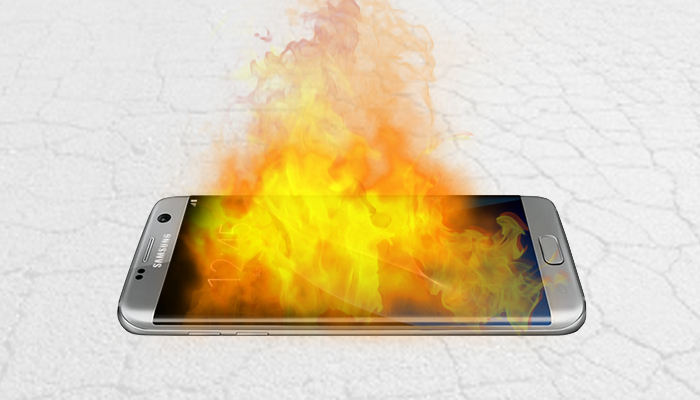 Around the world, many of the smartphones spontaneously overheated and caught fire. It was enough to traumatize the minds of developers of such high-profile devices. An engineering consulting company investigated Note 7 and presented the most appropriate reason for the explosions. The company “Instrumental” indicated that Note 7’s battery was not best suited to the enclosure it was meant to fit in. The ultra-sleek design of the smartphone failed to provide a room for the battery to swell naturally during normal usage. Upon swelling of the battery, the volatile chemicals inside came into contact each other and resulted in an explosion. Adding pressure on the back of the phone increased the risk of explosions. Not just that, even siting on the phone accidentally could have easily pressurized the battery inside. This pressure in turns pushed the chemicals to interact with each other and ignite. According to the engineering consulting company, battery life is an important element in mobile devices but a smaller battery is a better solution to avoid explosions. The Samsung’s quality analyses process failed the company and stated that it needs a revision on its products safety for the people. Samsung was in a fix at the time of launching Galaxy Note 7 because the company wanted to compete against iPhone 7 Plus. It might have known that smaller battery size wouldn’t cause the explosions but it was not appropriate for competing in the race. In a hurry of landing its product first, Samsung pushed the boundaries and preferred launching its device with a larger battery. Investigation is still going on the company’s part but if this is the root-cause then the limits of the batteries have been pushed too far.